Exactly a year ago, I was sitting Bogotá's international airport, El Dorado, and waiting to board my onwards flight. Behind me was a month of traveling around Colombia. A country which had surprised me by its beautiful landscapes and diverse cities. It is with reason that Colombia is an upcoming travel destination! Colombia has something for every taste; for those who love extreme sport, for those who adore small colonial villages (including some of the most colorful ones I have ever seen), for those who want to be cultural, listen to music and look at art, and for those who search for a pulsing cosmopolitan city vibes. 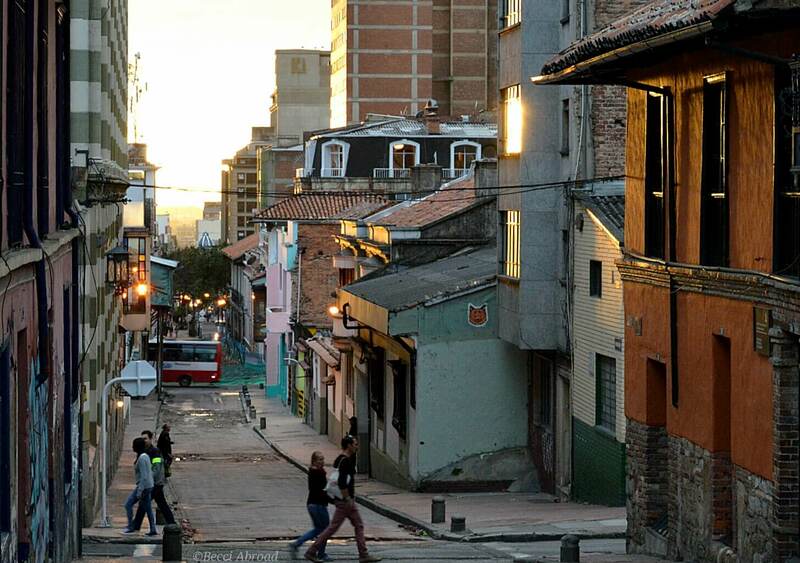 Bogotá has exactly these cosmopolitan vibes, and a lot more to offer! Therefore, I have put together a list for you of reasons to visit Bogota, and for myself as a little rip up of my memories about the Colombian capital. Bogotá is filled with contrasts. The old colonial houses of historical center, La Candelaria, against the modern skyscrapers. The fancy dressed business men and women against the hippies playing music and hanging around Plaza del Chorro de Quevedo. Bogotá has it all. Part of visiting the city, is to just take it all in. All the contrasts mixed together in one place. One city. One of the first thing that caught my attention when I arrived to Bogotá was the green enormous mountains surround the city. Towering up with their mysterious white mist covering the tops. 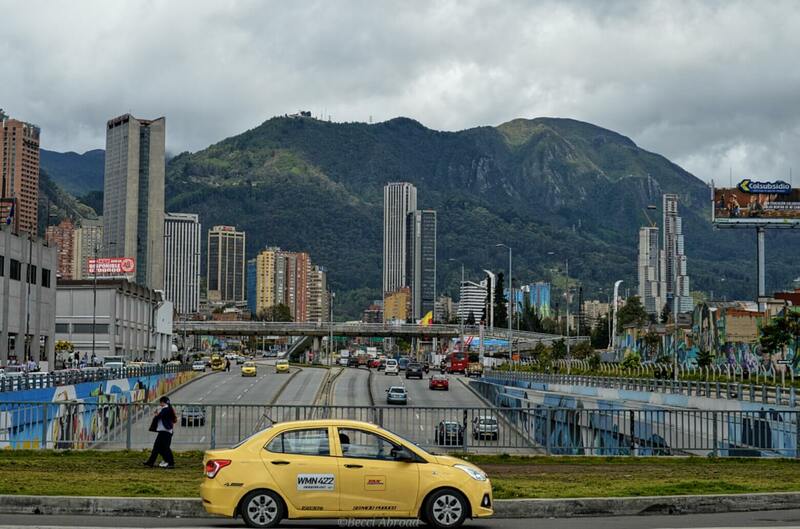 Almost everywhere you go, the mountains will make the background scenery in Bogotá. Maybe it is because I come from a country which is as flat as anything can possibly be but this mountain scenery fascinated me completely. I never thought of myself as a mountain type of person. I usually prefer the ocean. But Bogotá had me with its mysterious mountains against the colonial houses and skyscrapers. Hit to Monserrate to get a closer look at the mountains and for an amazing view over the city. 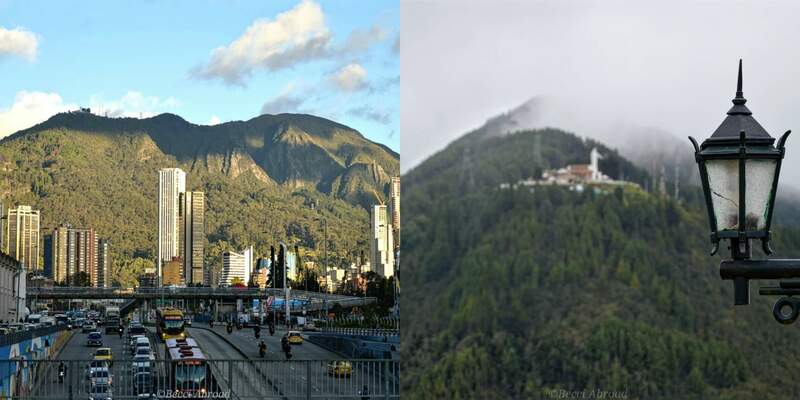 The view point with the church, el Santuario del Señor Caído de Monserrate, is placed 3.152 above sea level which allows for amazing photos and a real feeling on how massive the Colombian capital is with its 8 million inhabitants. The entrance to Monserrate is located at Carrera 3 Este. From there you can choose either reach the top by a cable car, a train or by foot. Monserrate is open for entrance everyday (except holidays and Sunday) from 7 am until midnight. If you like me like interesting art and fascinating architecture, Bogotá should be on your bucket list like... Right now! 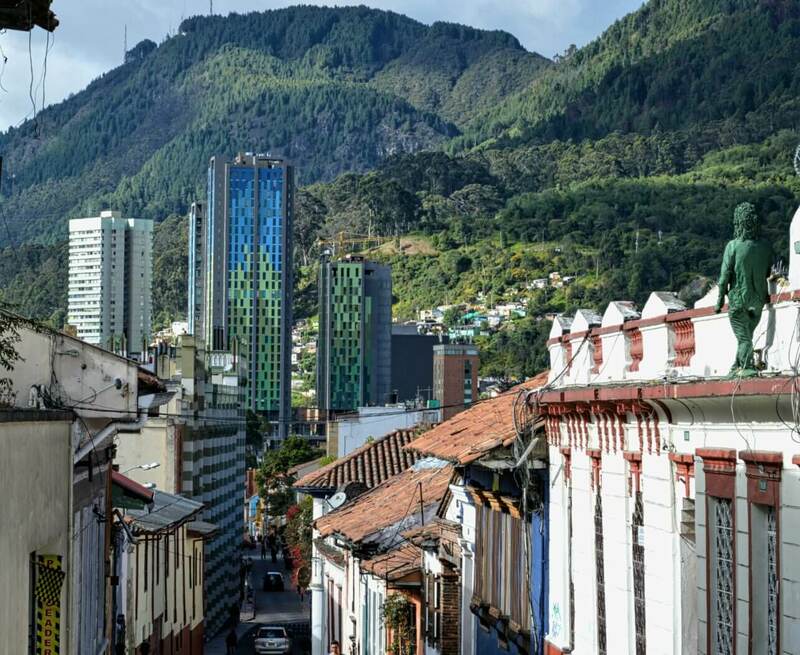 The city center is filled with all kind of museums and the streets of both La Candelaria and other neighborhoods are like small museum in themselves. 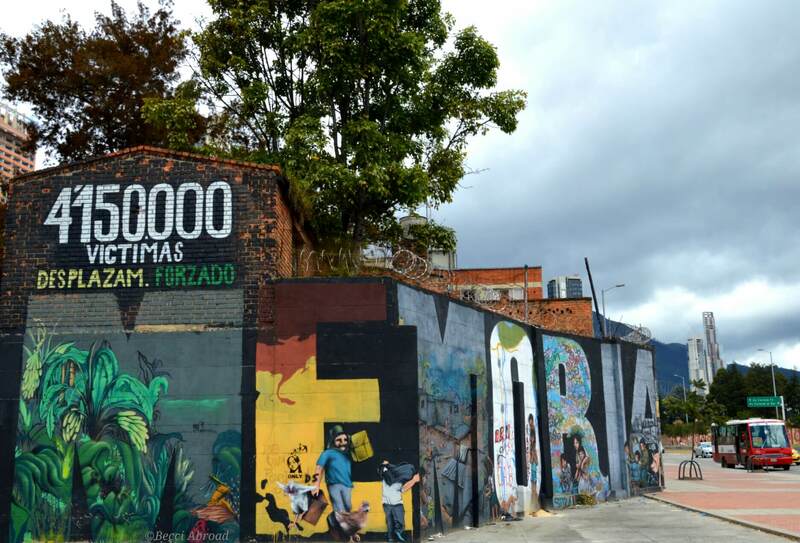 Bogotá is the home of some of the most amazing street art that I have ever seen. Walking around and suddenly discovering huge murals with high quality street art… I have said it before; Bogotá’s street art stole my heart of that! However, there are also plenty of conventional museums where you can hide if the unreliable Bogotarian weather decides to give you rain while enjoying masterpieces or local history. 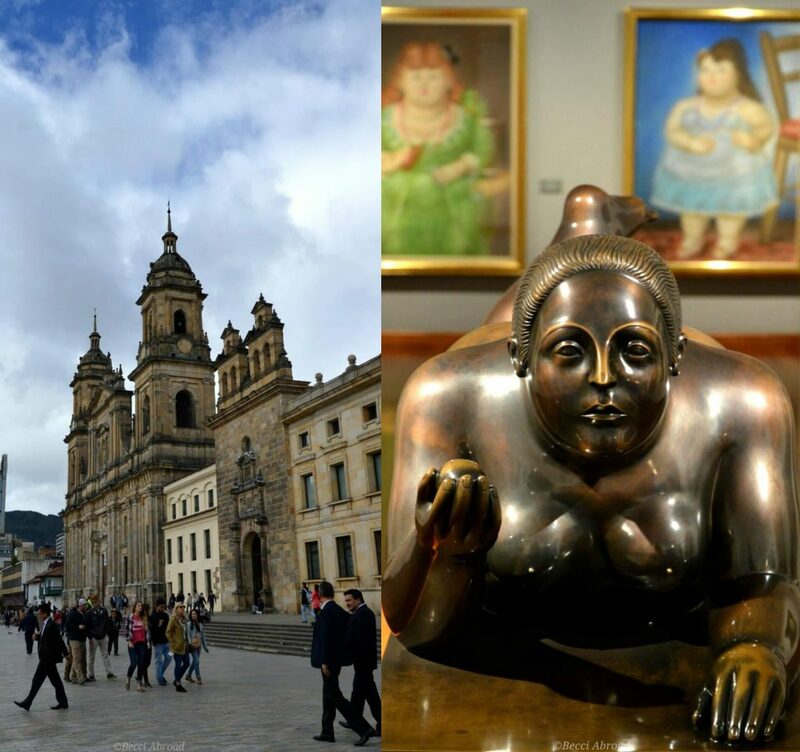 Due to my huge fascination for the Colombian artist, Fernando Botero, my favorite museum was the Botero museum located in Calle 11, N° 4-41, Bogotá. Nevertheless, just next to the Botero museum is the super popular Gold museum which should be worth a visit – I unfortunately didn’t do it. 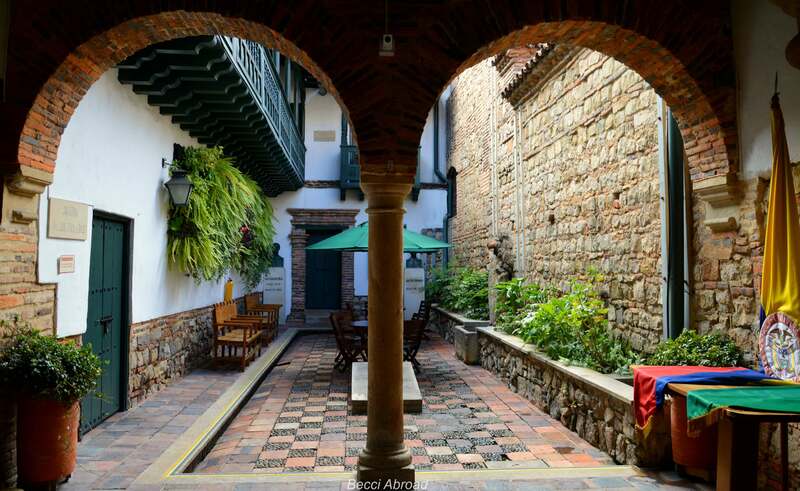 And around the corner from these two museums you have the city museum of Bogotá – just to mention a few! The architecture in Bogotá is in itself worth the visit. 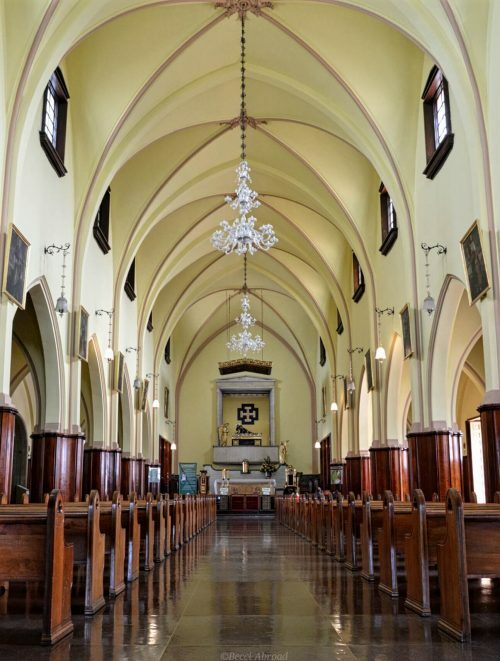 Even though, the city doesn’t have as vibrant an architectural screen as my beloved Buenos Aires, you can still find impressive catholic constructions as the church at Monserrate or this small colonial patio in the photo below. What surprised me the most while visiting Bogotá was the quality and diversity of the food. Maybe it surprised me because I didn’t know what to expect… but food in Bogotá was G-O-O-D.
Apart from the more traditional food (which includes a lot of soup), then there are restaurants that uses the delicious regional foods in a new innovative way. 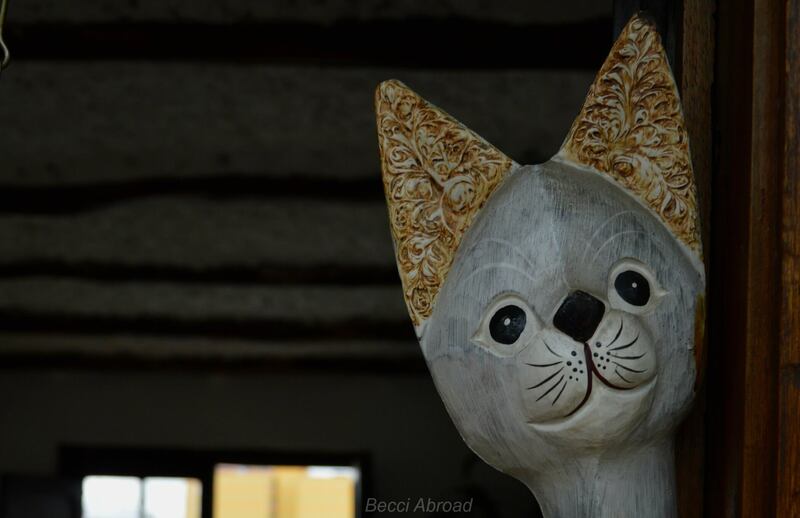 A place that I grow to like a lot is El Gato Gris (the grey cat) located just by Plaza del Chorro de Quevedo in the sidewalk Carrera 1A in La Candelaria. 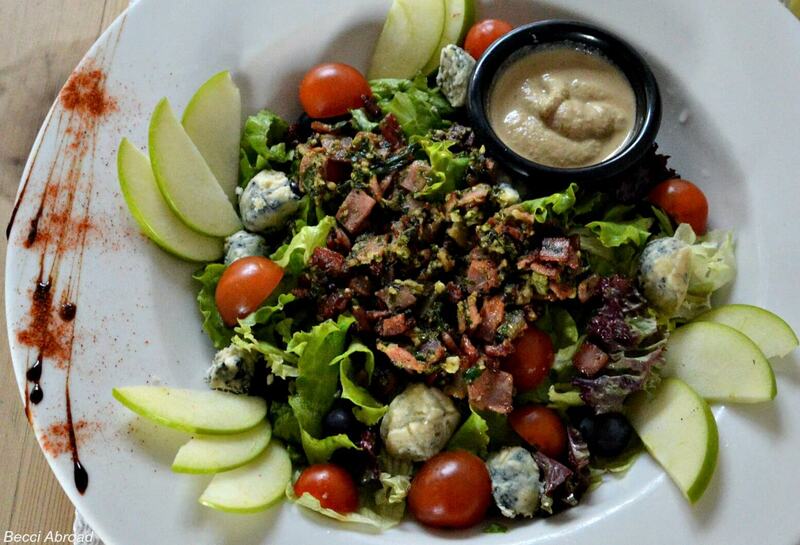 They have amazing salads and juices, and a lovely decor where the restaurant is divided into lots of smaller rooms – and then, of course, a cat! One of my first days in Bogotá, I accidently dropped into a small corner restaurant. The place wasn’t opened yet by the time I went but the staff let me sit at the bar to escape the rain while they prepared the last tables. Instead of getting a table, I ended up sitting in the bar chatting with the owner who recommended all his favorites from the menu. Now I have mentioned the neighborhood of La Candelaria a couple of times; the historical center with colonial houses and street art. 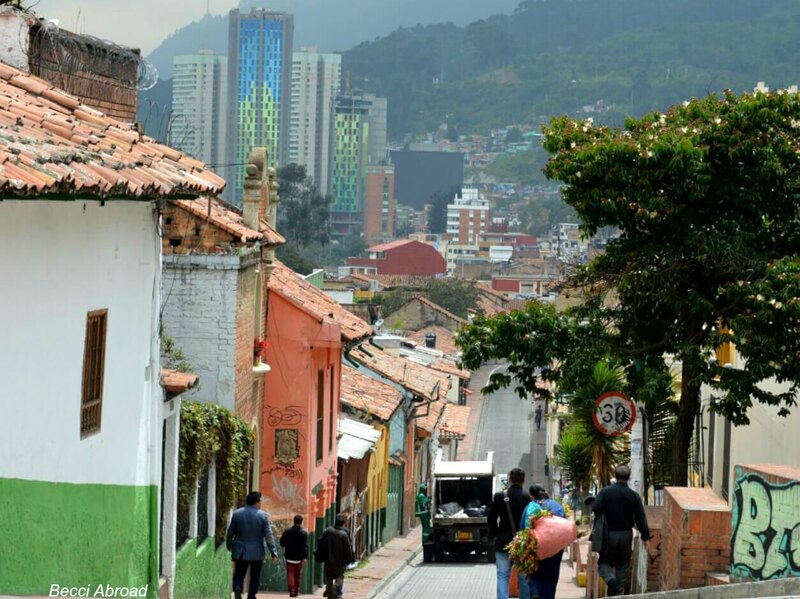 La Candelaria is without doubt the touristic area of Bogotá, and doesn’t reflect the whole story of life in the Colombian capital. And then, let’s face it! 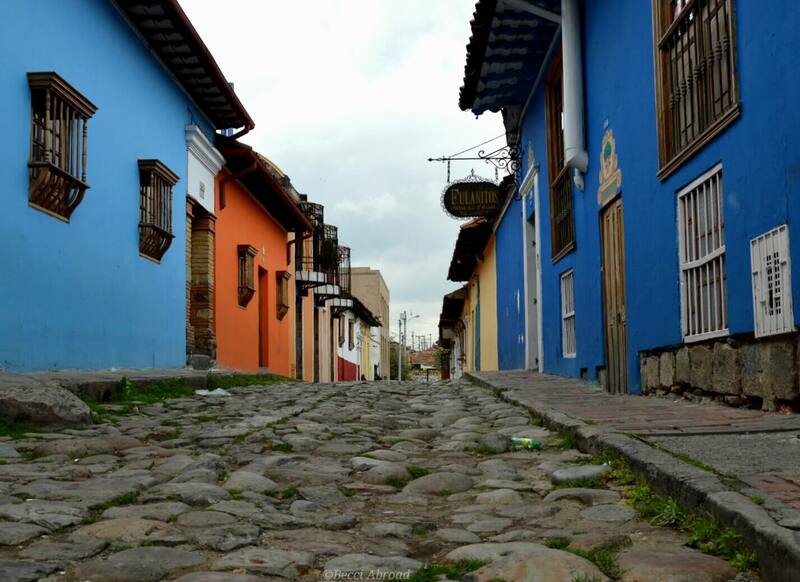 It is just overly charming to scroll cobblestone streets surrounded by colorful houses. 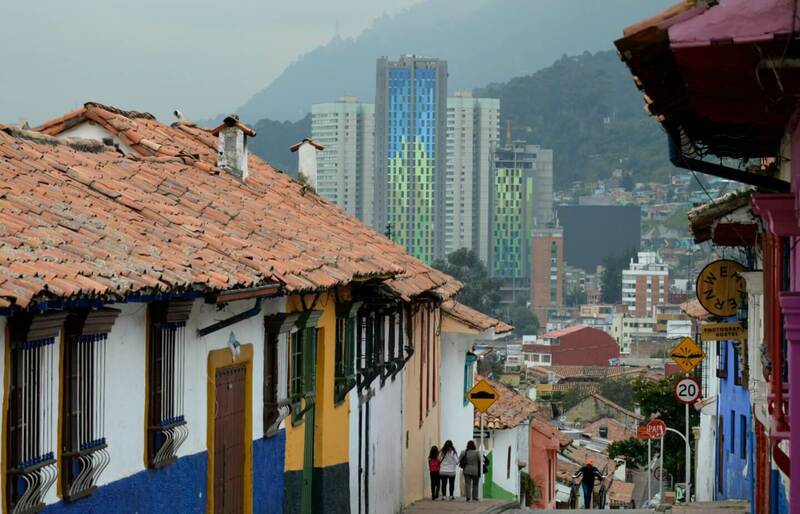 When in Bogotá, it is definitely a must to just walk around La Candelaria and its colored houses. 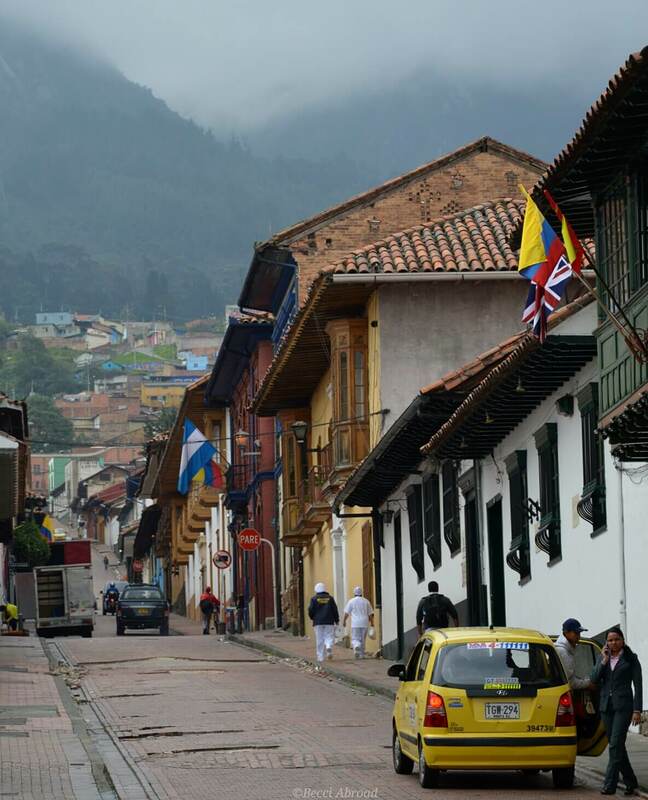 It is often discussed in different Latin America travel groups whether Bogotá is worth a visit. Many times, I have heard strong arguments against the Colombian capital. However, my own experience of 1,5 week in the city was positive, and I think there are plenty of reasons for visiting Bogotá. Are you looking for ideas on how to plan your Colombia itinerary, then check out this one for a whole two weeks in Colombia - including Bogotá! What do you think? 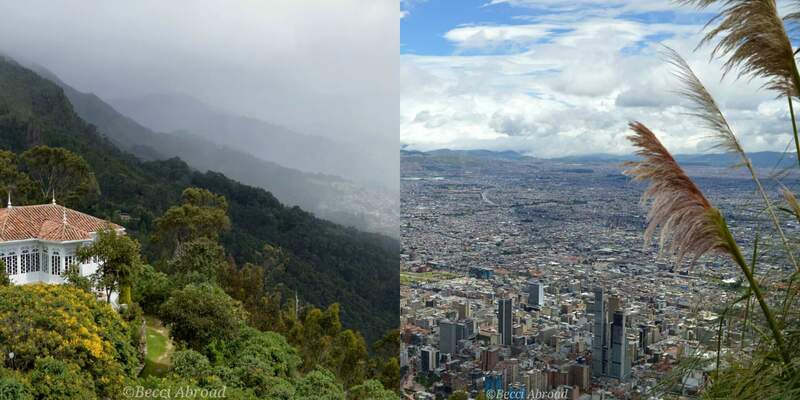 Is Bogotá a city that you would like to visit? 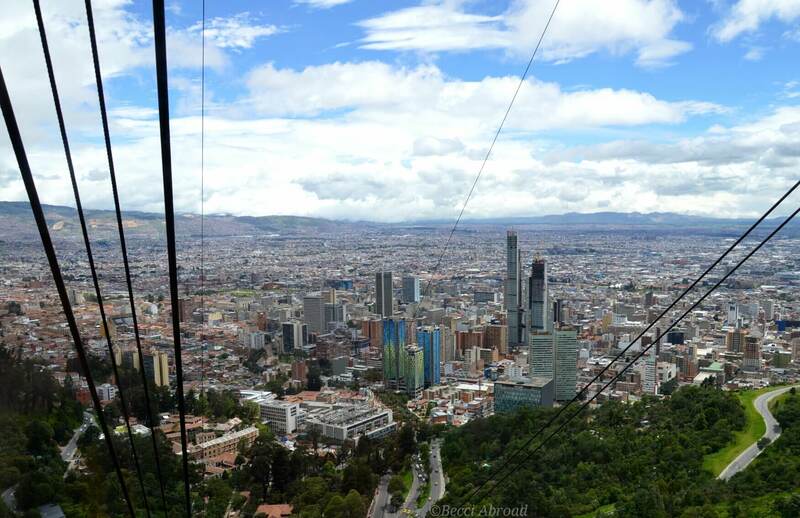 Or did you already visit Bogotá? What was your experience of the city? Feel free to share your thoughts in the comments below!